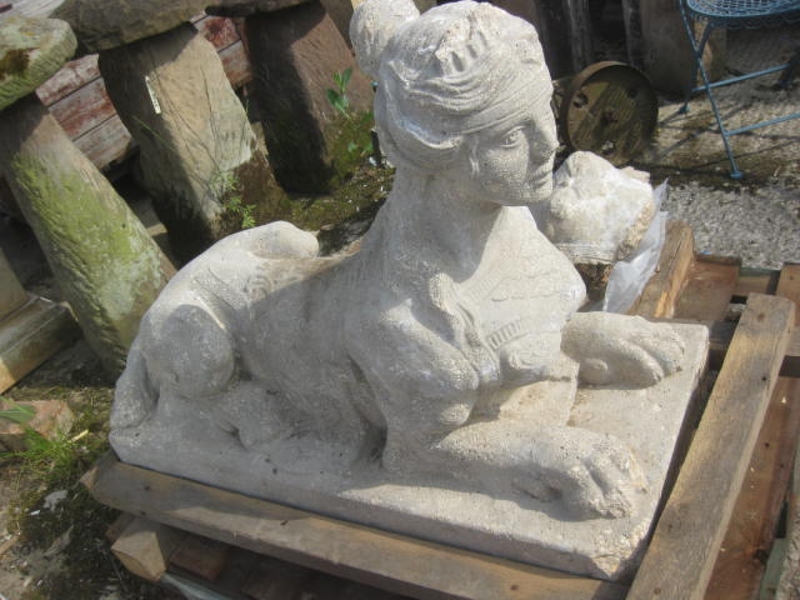 Antique composition stone Spinx statues. Sphinxes (haunches of a lion and the face of a human) are generally associated with architectural structures such as royal tombs or religious temples. One Spinx requires particular attention.